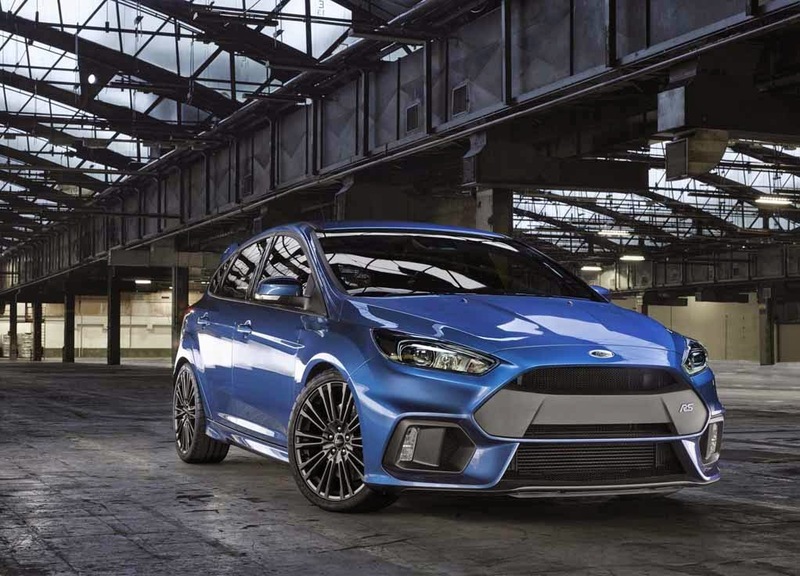 There’s only 325 days left till Christmas - Ford has just released details and pics of its new, all wheel drive Ford Focus RS. The 2.3-litre EcoBoost engine is claimed to produce “well in excess of 320 PS”. The Ford Performance AWD system is based on twin electronically-controlled clutch packs on each side of the rear drive unit. These manage the car’s front/rear torque split and can control the side-to-side torque distribution on the rear axle delivering the “torque vectoring” capability, which has a dramatic impact on handling and cornering stability. A maximum of 70 per cent of the drive torque can be diverted to the rear axle. Up to 100 per cent of the available torque at the rear axle can be sent to each rear wheel. The AWD system has been tuned to deliver exceptional grip – with lateral acceleration exceeding 1 g – and class-leading cornering speed and acceleration out of a bend. With neutral and adjustable limit handling it has and the ability to achieve controlled oversteer drifts on the race track. Apparently Ken Block was a consultant on the new car! 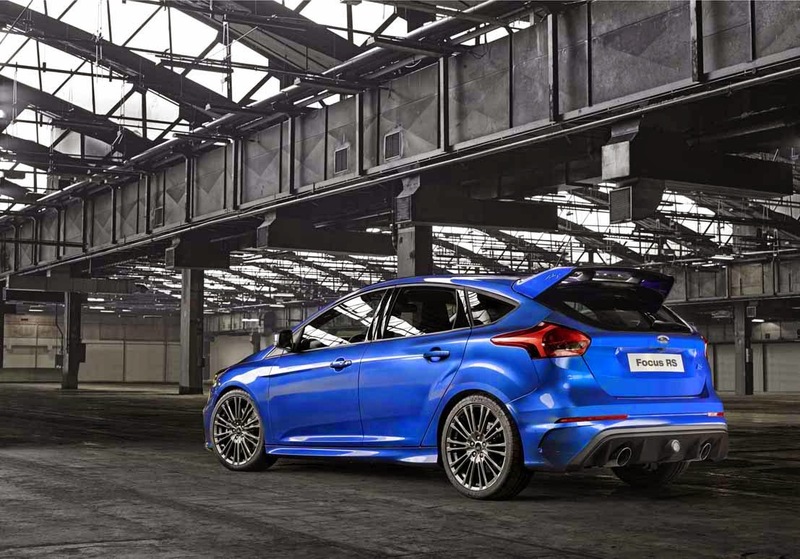 The original 215PS Focus RS from 2002 featured a 2.0-litre turbocharged power unit and an advanced limited-slip differential. The second generation model sent 305PS through its front wheels with a ground-breaking RevoKnuckle suspension design.